Once you have completed your monthly pension contribution spreadsheet choose Save As from the File tab. 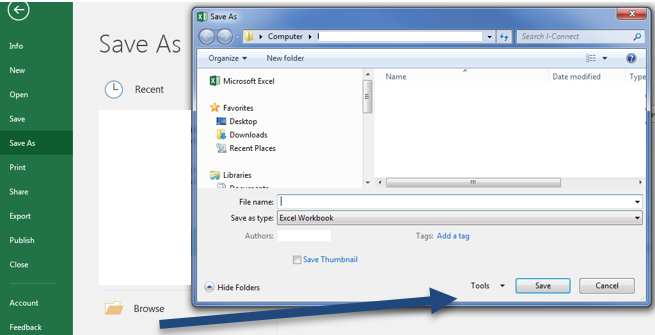 Click the Tools drop down on the dialog toolbar and choose Save Options. In Excel 2016 choose More Options, Tools then General Options. In the dialog box, choose ‘Password to Open’. Please note when you send your monthly data to the Scheme, please use your Pensions Reference Number as the password and capitalise the first letter. Your Pensions Reference Number will be 6 characters starting with a letter. You will find your Pensions Reference Number on the payments card, if you cannot locate your Pensions Reference Number please contact the Administration Team.